The last two years have seen a remarkable acceleration in online use of social networks, almost like the accelerating use of the web itself in the mid-nineties. This macro shift in online behavior presents new technical challenges in information search and discovery. Taking examples from data at Twitter, we will illustrate some of these challenges, our approach to them, and future directions during this session. Ashish Goel is an Associate Professor of Management Science and Engineering and (by courtesy) Computer Science at Stanford University. His research interests lie in the design, analysis, and applications of algorithms; current application areas of interest include social networks, Internet commerce, and large scale data processing. Professor Goel is a recipient of an Alfred P. Sloan faculty fellowship (2004-06), a Terman faculty fellowship from Stanford, an NSF Career Award (2002-07), and a Rajeev Motwani mentorship award (2010). He was a co-author on the paper that won the best paper award at WWW 2009. Professor Goel currently holds the 3COM faculty fellowship in Stanford's School of Engineering, and serves on the technical advisory board of Twitter, Inc. From 2009-10 he was a research fellow at Twitter, and consulted on several of their initial algorithmic and monetization products. Technology continues to change at an ever-increasing rate, and users continue to apply technologies in the workplace for business advantage. This whirlwind of change is having a major affect on business decision making. This session will focus on trends and technologies impacting business intelligence and other analytics systems. We'll explore the role of social networking, location intelligence, handheld devices, and other leading-edge technologies driving the future of smarter business decisions. 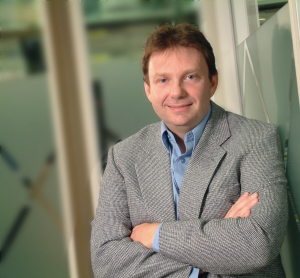 As CTO for IBM´s Business Analytics division, Don Campbell oversees its research, technology, and innovation strategy. This includes social media, location intelligence, mobile computing, and information visualization. Don is a 23-year veteran of Cognos and IBM, and a member of IBM´s prestigious Academy of Technology.